If you’re on a tight schedule and a tight budget, you need a welding and fabrication partner that has the laser cutting capabilities to get the job done right and on time. That’s why it’s important to understand all of the company’s advanced laser cutting capabilities before you decide to partner up. As a project engineer, your main goal is to find a fabrication and welding partner that can produce the best solution for your client’s needs. But a tight timeline and a strict budget can put many fabrication companies out of your reach. Unfortunately, in many cases, a tight budget also means you can’t afford to pay for the faster timeline you need to get the job done right and on time. But that doesn’t have to be the case. In fact, one of the most important laser cutting capabilities you should look for in a welding and fabrication partner is a fast turn around time. The way to ensure that you’re going to keep the job on budget and on the right timeline is to have a very clear idea about what you need prior to fabrication. 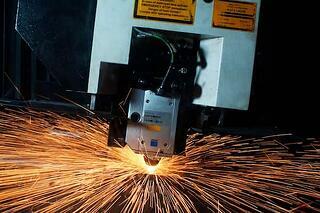 Another thing to look for is the actual machinery used by the welding and fabrication companies you’re considering. If you’ve got a big job and you’re working with a new potential partner with laser cutting capabilities, touring the facilities and learning a little bit about how the machine works can make a huge difference in getting an end product that meets your high standards. You’ll also be able to ask any questions you still have about quality, timing, and pricing at this time. Before you make the deal, it’s important to know that you have found the right partner, and this can be a little more difficult to determine. In terms of laser cutting capabilities, you need to know before you begin that each part will be cut to your exact specifications. And you need to know that if something isn’t right, the fabrication and welding company will fix it quickly. Having guarantees as part of your purchase order is the best way to ensure that the job will get done to your exact specifications and within the agreed-upon timeline. At All-Type Welding and Fabrication, we know the importance of getting the job done on time and on budget. Contact our team today to learn more about our laser cutting capabilities and to get a quote for your next project.